For the 12th biennial NGS at Sparsholt College, near Winchester, Alan Rolfe and the hosting Wessex NG Modellers put on another fantastic day that once again proved to be a challenge to get round everything as well as fit in the 009 Society AGM within the available time! 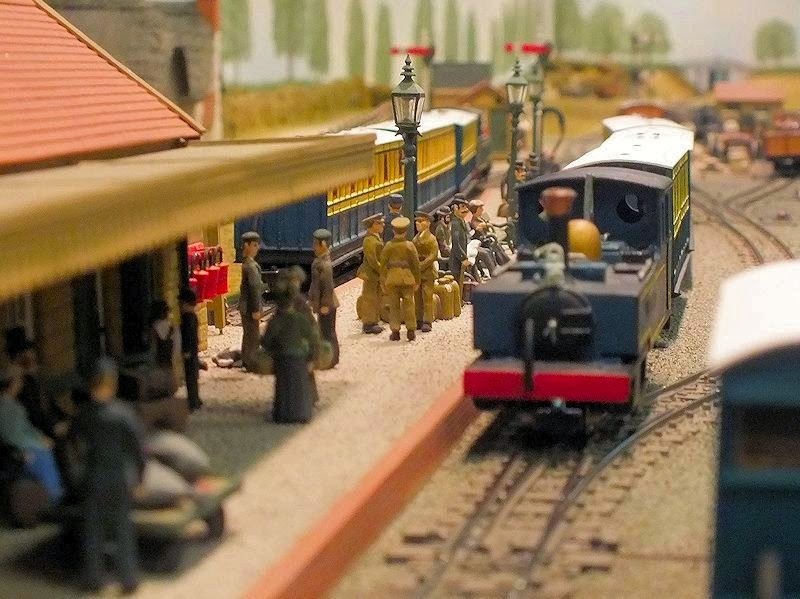 27 layouts plus a further 3 on trade and society stands, amongst a total of 54 stands, there was a feast of top quality layouts and modelling on display, all set in the friendly atmosphere that this do is renowned for. Another overload of shutter clicking from me to the extent that, once again I have had to split my report into 2 instalments in order to provide what I hope is a fair representation of everything that there was to see on the day – I’ve even had to omit the traditional food photos this time (except for one!). I hope you enjoy the selection I have chosen! Part 2 continues in the same room that we completed Part 1 in, where we had just looked at a splendid American 0n30 layout. 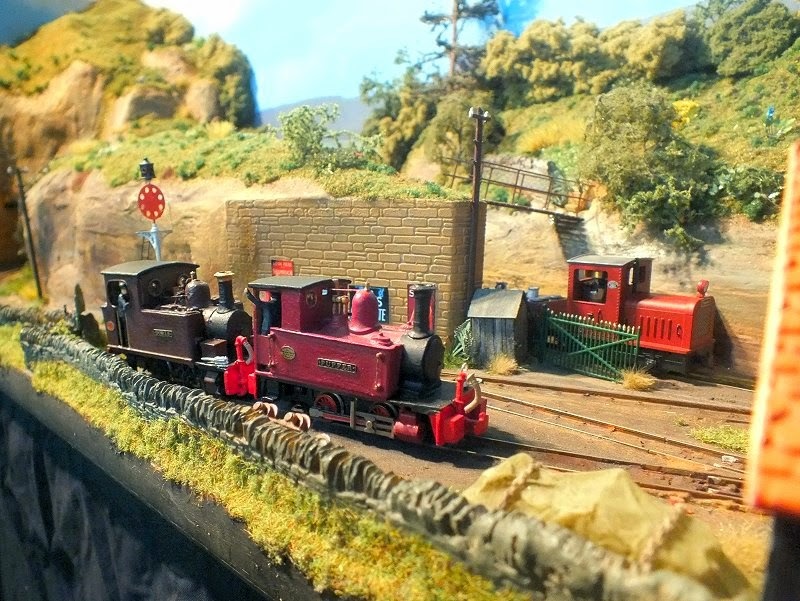 Immediately opposite was another American narrow gauge layout, this time in HOn30, providing a good contrast and comparison for anyone still confused about size and scale nomenclature! Still only about half way through our tour of the diverse and entertaining selection of narrow gauge layouts that Exhibition Manager Alan Rolfe had invited from near and far, like many others who attended, I found it quite a challenge to get round everything allowing sufficient time to enjoy all that I saw, and like others reported, I very nearly missed out on a couple of rooms, but, having double checked the show programme, I am as confident as I can be that I got at least a glimpse of every layout present ! For the 22nd Small & Delightful Group's wonderful day out at Shepton Mallet, some 25% of those who normally attend looked at their atlases and worked out that as Shepton Mallet is in Somerset, it must be under 6ft of water, so must be too dangerous to attend. For the other 75% who know enough about geography to know that the flooded Somerset Levels are to the WEST of Glastonbury and Shepton is several miles to the EAST, then they had a bit more room to walk around the halls and enjoy the 25 layouts and loads of traders and societies present in what in many minds is the biggest, best and friendliest annual narrow gauge modelling event of them all. Unfortunately I got called back home on urgent matters at around lunchtime, but I still managed to get some photos of just about everything so here is my record of what was another fantastic trip to Somerset. Barton Le Clay seems to get better every year! 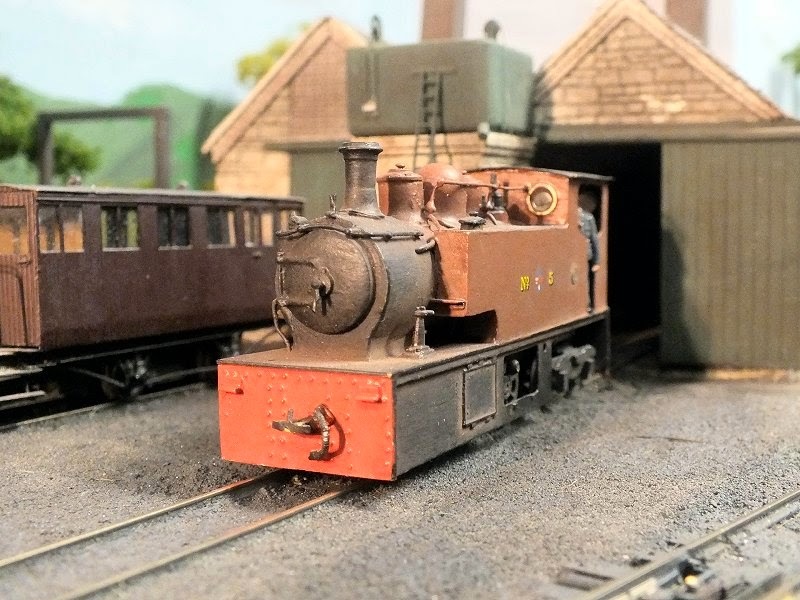 This time, the 9th annual open day that Mark Howe and the Beds & Bucks NG Modellers have put on, there were 16 layouts in a variety of scales and despite the bad weather, over 200 people were present in the village hall making it a very snug and friendly event indeed. The 5 star catering team were hard at it all day providing a never ending queue with fried sausage baps and loads of other super goodies whilst Brian Guilmant and his 009 Society sales team were under siege in an adjoining room as usual. 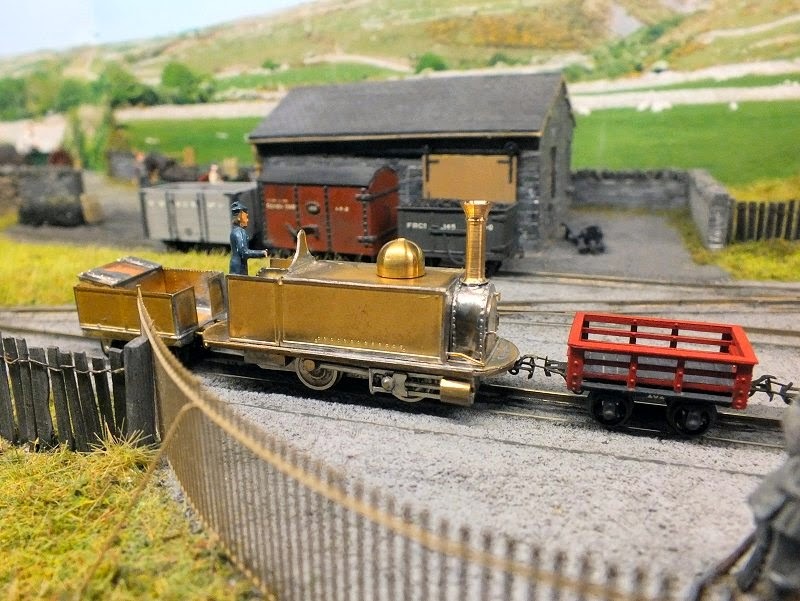 This open day has filled the gap for a narrow gauge modelling event that is accessible from all 4 points of the compass that was left when Chilterns NG stopped some years ago and has become one of the top NG specialist events in the calendar. Well Done Indeed Everyone!